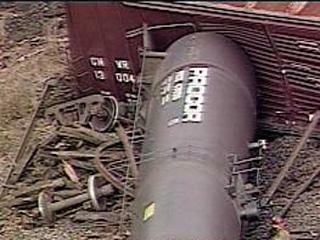 Explosive contents in a train derailment have created a Hazmat Level Three situation in a Detroit neighborhood Monday. Evacuations include three elementary schools. Four of the cars contain methyl alcohol, but said there are no reports of a leak. Methyl alcohol is highly explosive and is used as a jet fuel. The cause of the derailment was not known.